Did your air conditioner break down suddenly? Or, is it not working as it should? Whatever the problem is, we have the right type of air conditioning service you need to stay comfortable. 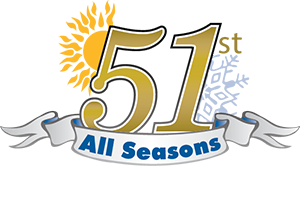 All Seasons Air Conditioning is pleased to provide quality and dependable A/C services, such as installation, repair, and maintenance. Our top-of-the-line technicians guarantee to offer you exceptional customer service and 100% complete satisfaction. Whether small or big, you can expect a speedy and professional A/C service when you call us. When the dog days of summer hit you, a regularly serviced air conditioner can save you! Trust All Seasons Air Conditioning to take care of your cooling system for a reliable operation throughout the hot season. Want to schedule an air conditioning service? Call us to get started!